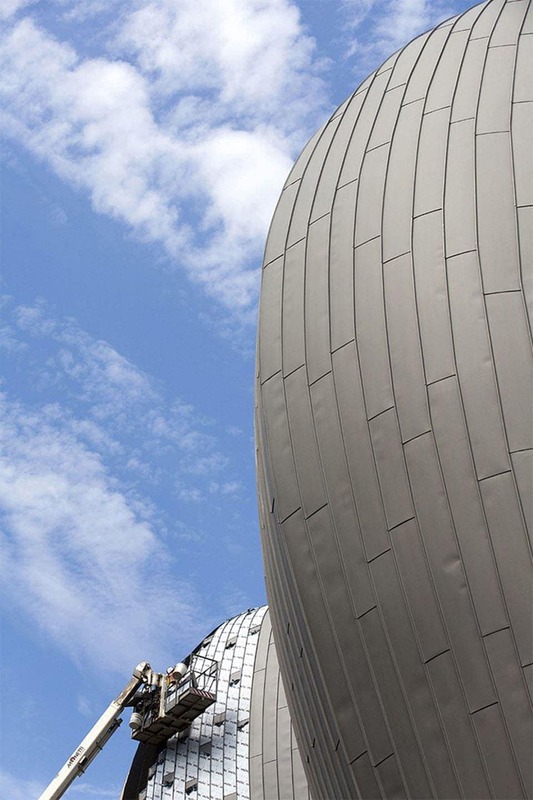 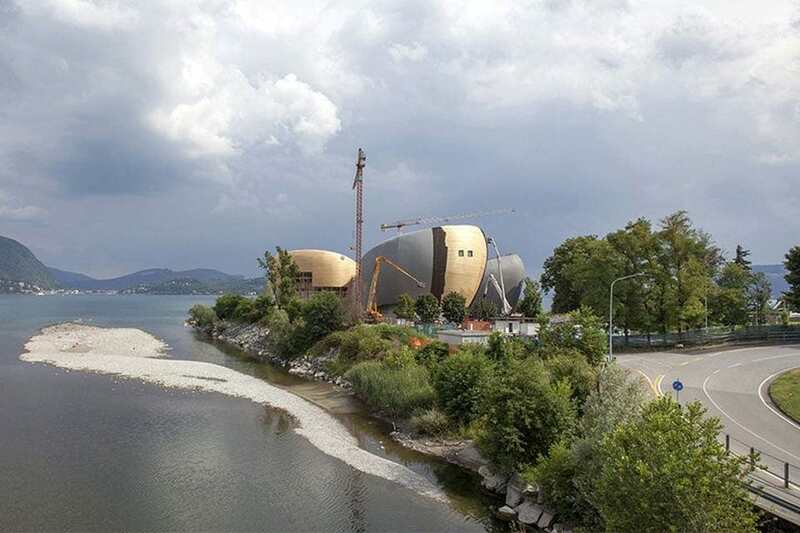 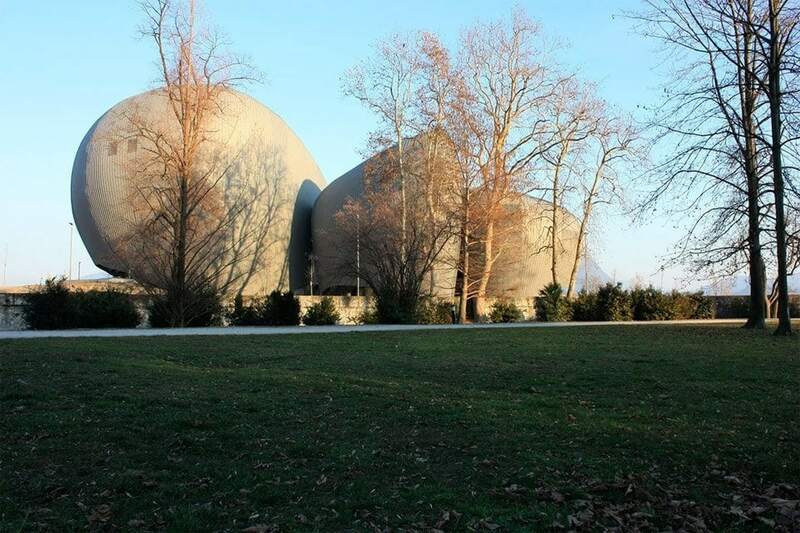 The development of the new Theater of Verbania dates back to 2008 when our team won an architectural competition organized by the City of Verbania. 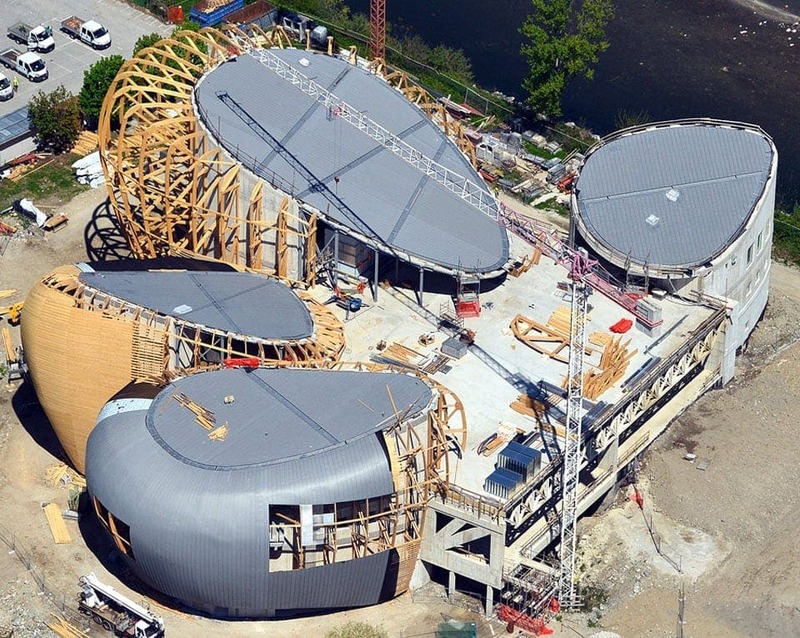 In that first project, the new theater was located in the city’s historical center and conceived as a part of the urban fabric, a public building open to the city and its community. 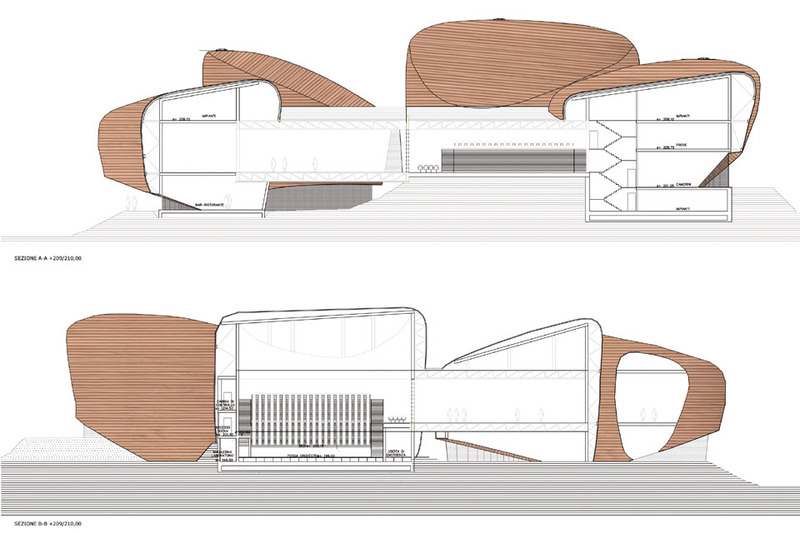 The building was composed of three organic volumes clad in terracotta leaning on a large “sculptural” platform into which stepped terraces and long pedestrian ramps which connected the building with the market square and the urban neighborhood nearby are carved. 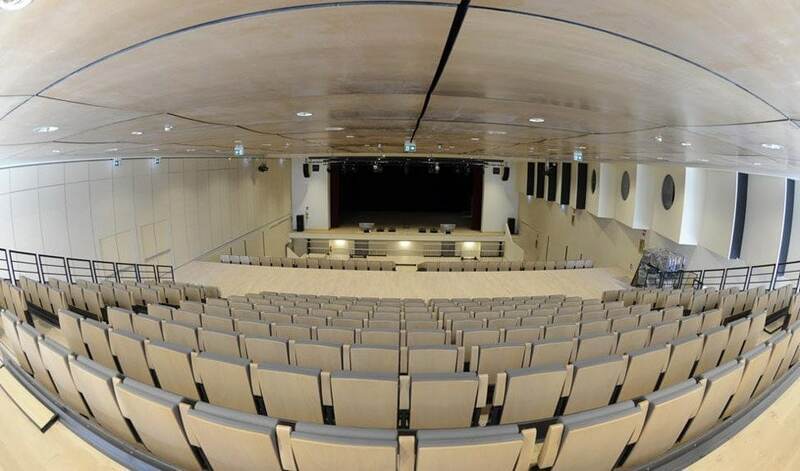 The second project, built in 2016, originated from a change of perspective of the Municipality of Verbania, which required a larger and more multi-functional venue. 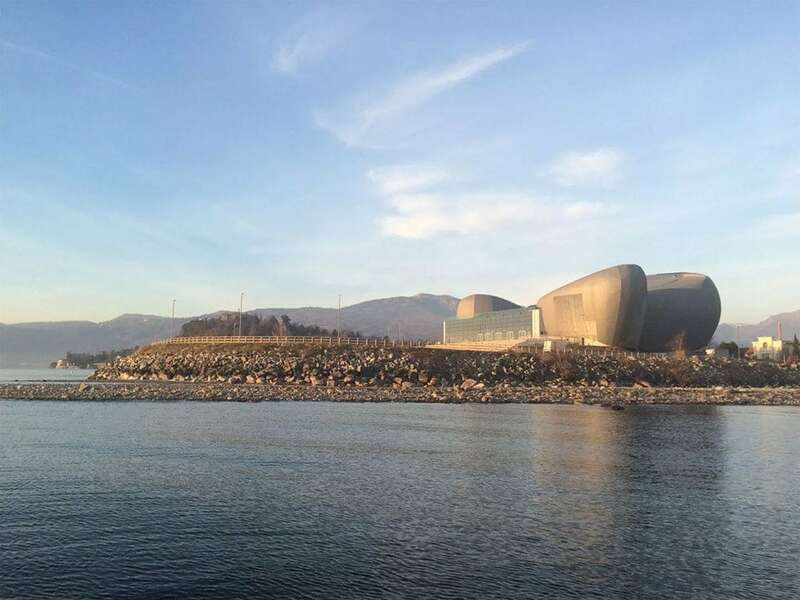 Based on those requirements, the planned architectural complex was moved from the city center to the Lake Maggiore waterfront and was redesigned as a multi-purpose event center. 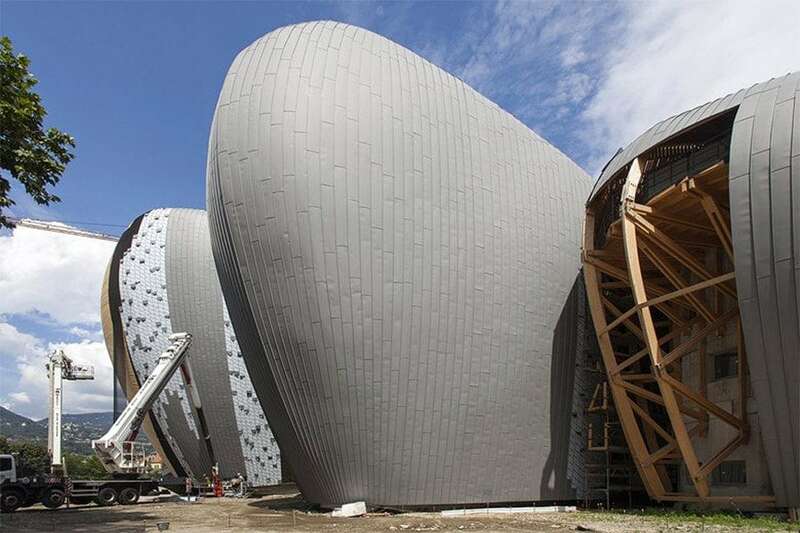 The complex consists of a large box-shaped hall and four titanium-clad curvilinear volumes, whose shapes evoke those of pebbles on a beach, enclosing a 2000-seat open-air arena opening onto the lake. 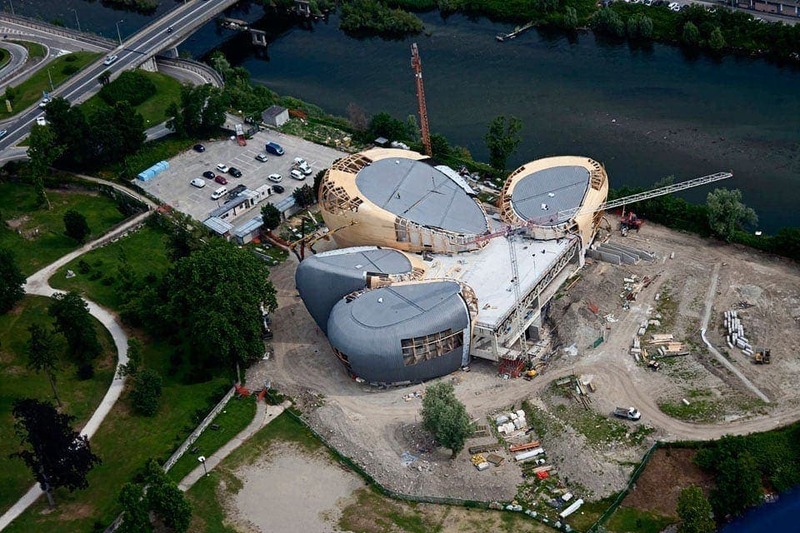 The complex contains a 500-seat theater-cinema-auditorium, a smaller theater for 200 people, a foyer, rehearsal spaces, dressing rooms, administration offices, a number of visitor facilities, and a cafe-restaurant. 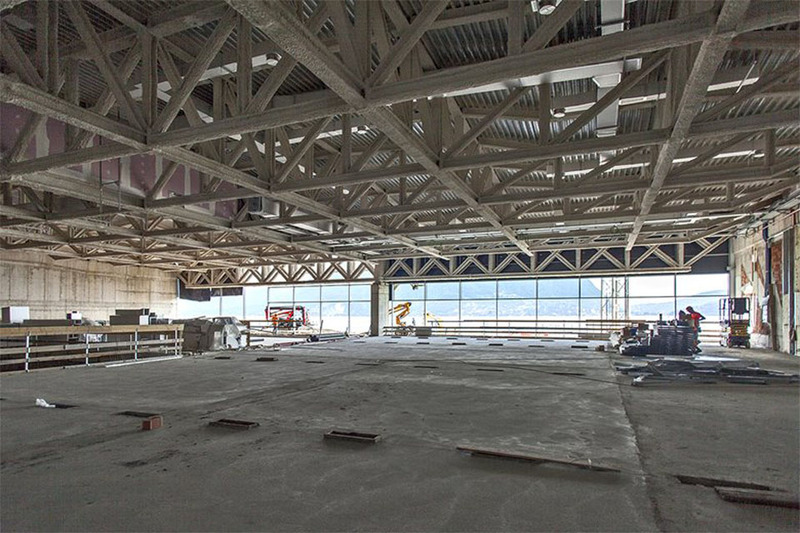 Functional flexibility is one of the key points of the new event center; by sliding a number of large movable walls, the main theater hall and the foyer can be merged into a single multi-functional hall for 900 people.